Feather Flags are machine finished with a black heading to cover the pole, although other colour options are available on request. To ensure this product meets our customers' requirements, you can purchase with or without a flag and as a 2m, 3m or 4m kit. Also available is an X-base with water pouch for internal or external hard standing, and a car wheelbase for external use on forecourts or at events. 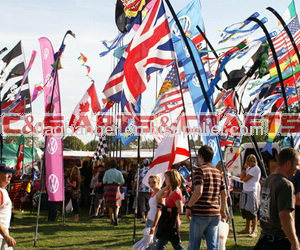 Feather Flags – light, versatile and effective. Appliqué, screen printing, heat transfer printing. Assemble: Base A can screw in the floor directly. Base B. stand base, material: Stainless steel. 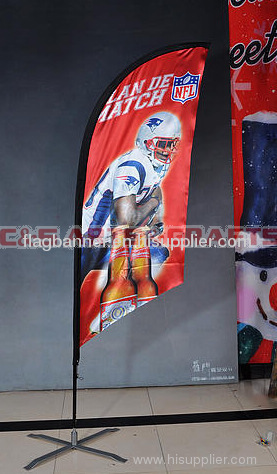 Assemble: insert the flag pole to the base B, it can put on anywhere and it won't blow by wind.